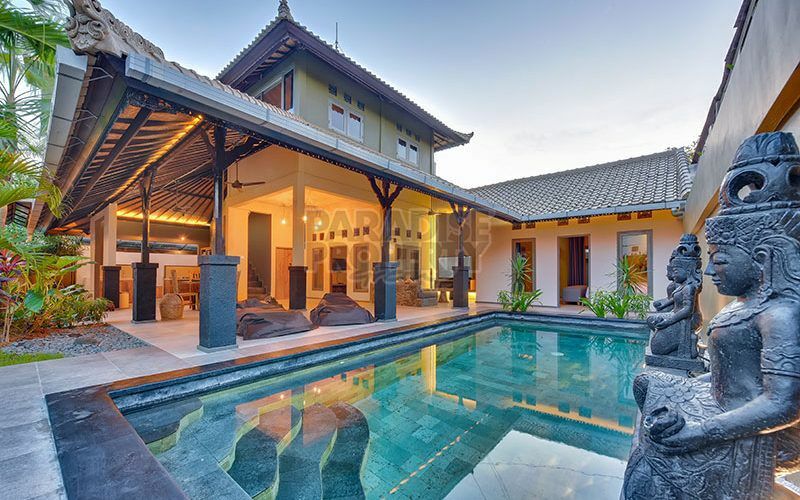 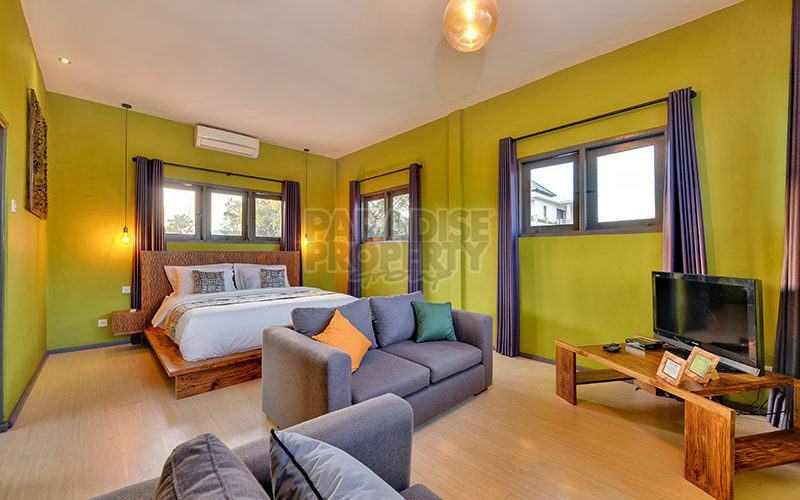 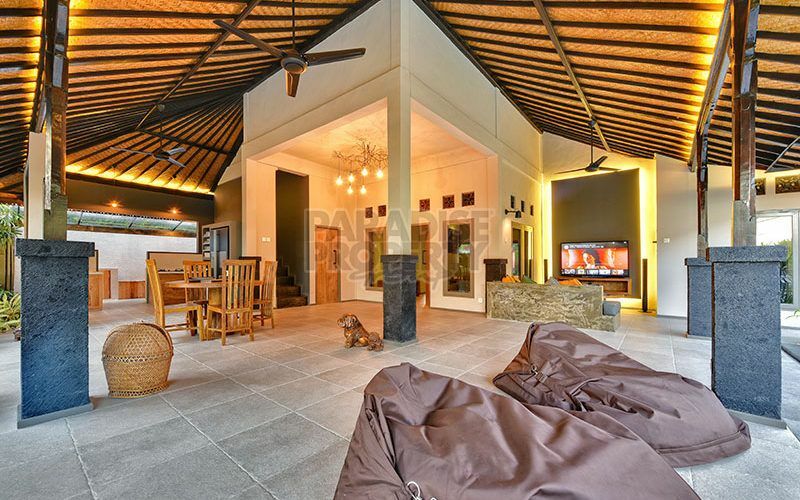 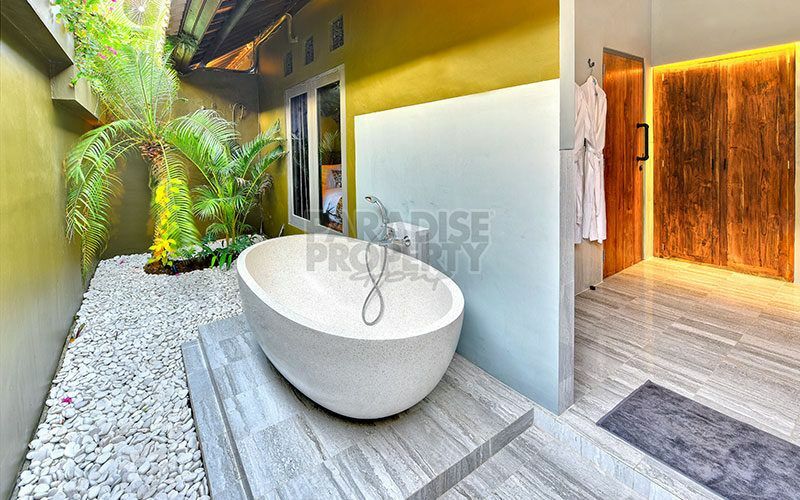 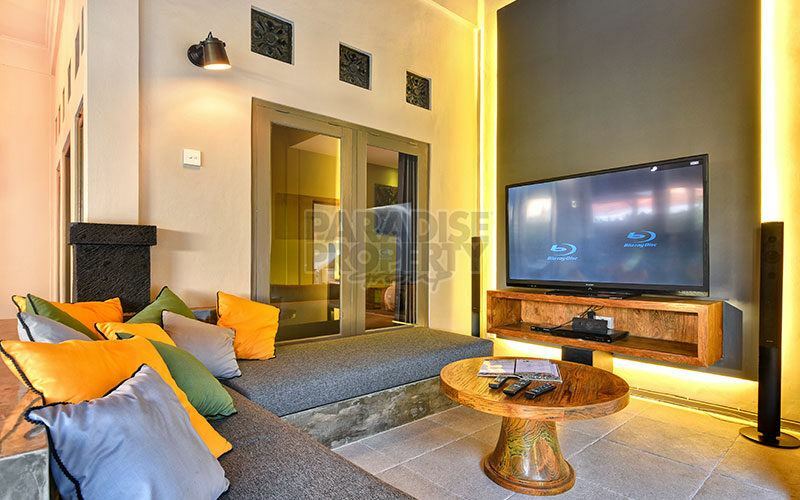 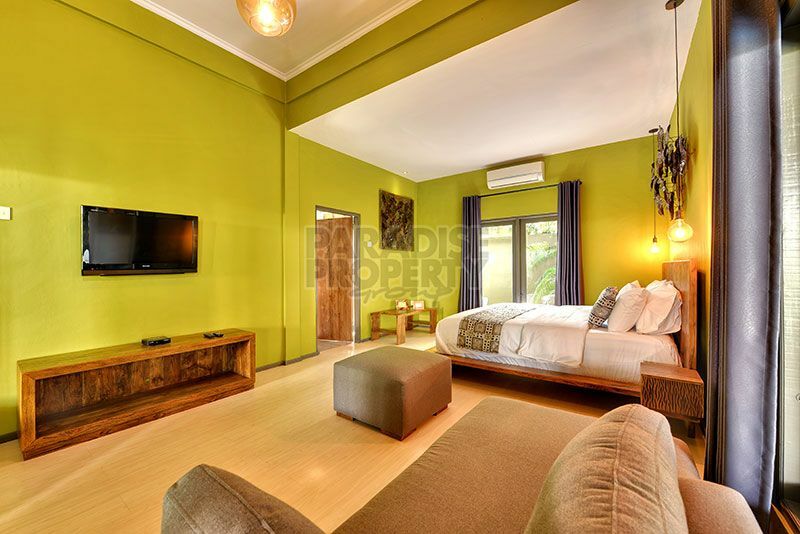 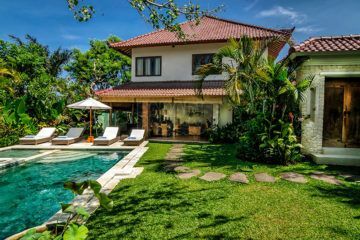 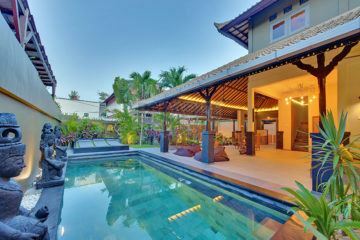 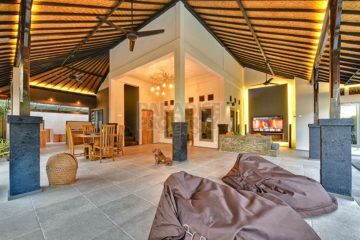 This gorgeous villa is located in the famous Jalan Oberoi or better known as “Eat Street” and is within 1 minute walking distance to high-end restaurants, entertainment venues, popular shops and only a short stroll to the beach. 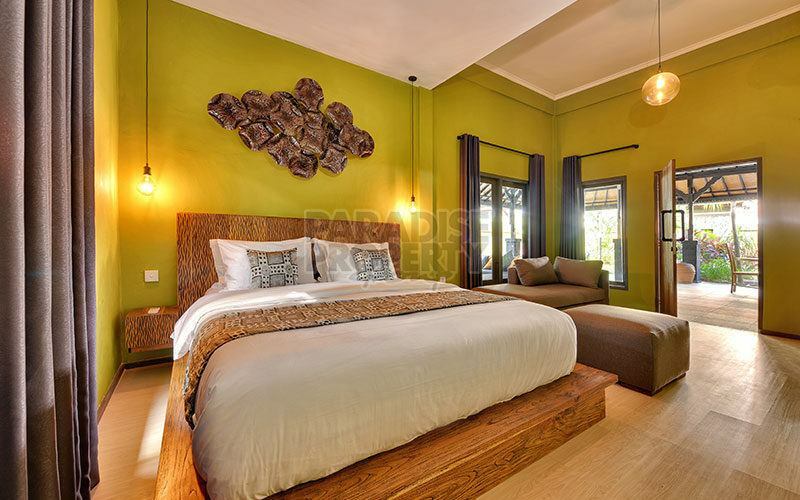 The villa is a 3 bedroom plus 1 storage room which could be converted into another bedroom. The bedrooms come complete with king size beds, ensuite bathrooms with bathtubs, flat screen TV’s, sofa’s and air-conditioning. 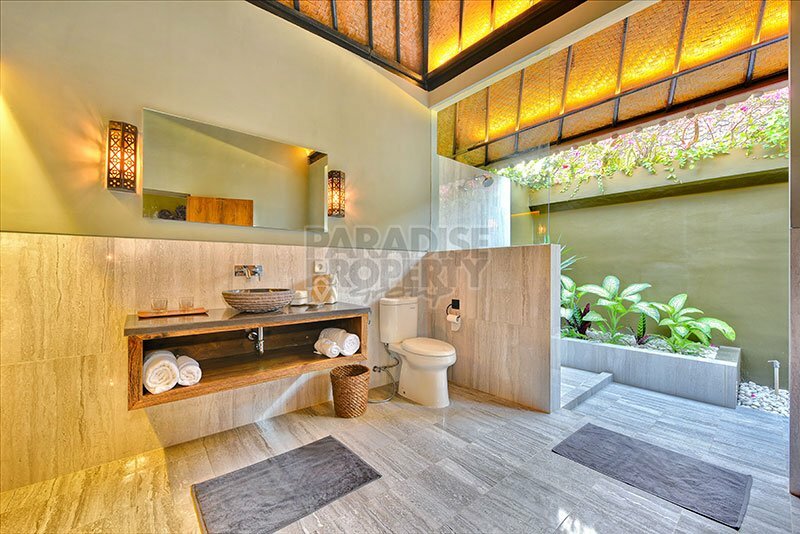 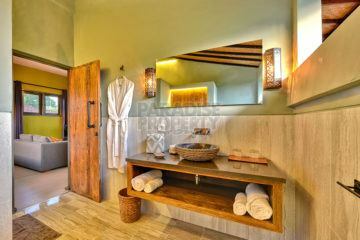 Designed in a modern, open plan living concept, cleverly creating a contemporary space while still maintaining a traditional Balinese feel. 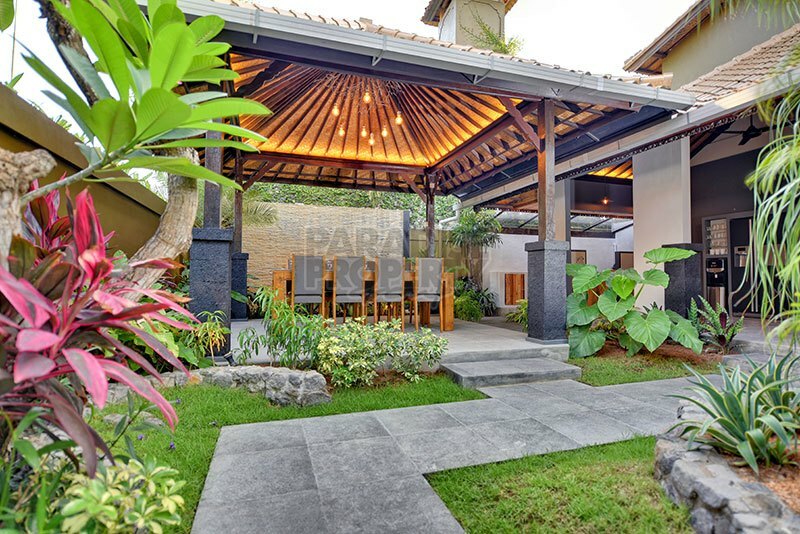 There is a beautiful modern BBQ area ideal for entertaining guests or a large family. 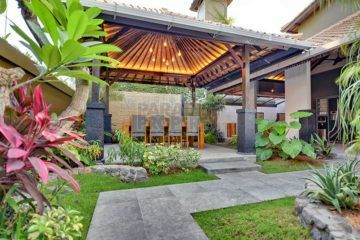 The outside area has a pool deck, complete with sun beds and a fully equipped kitchen, an open living space and a beautiful lush garden, complete with swimming pool. 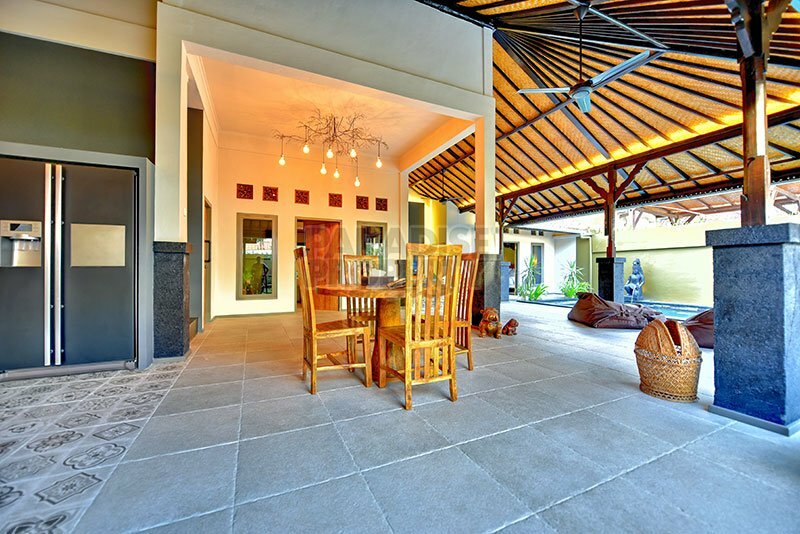 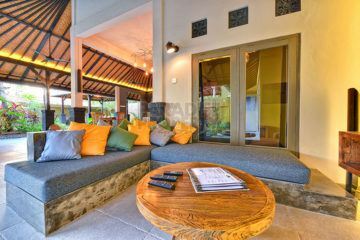 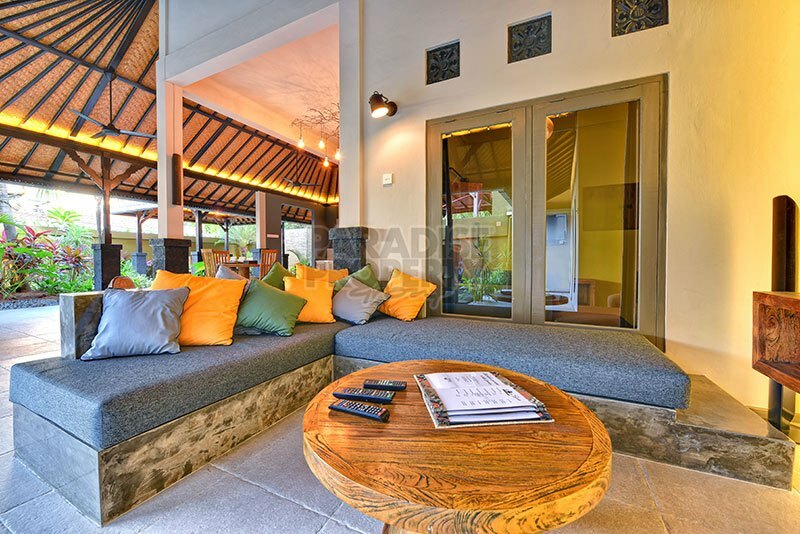 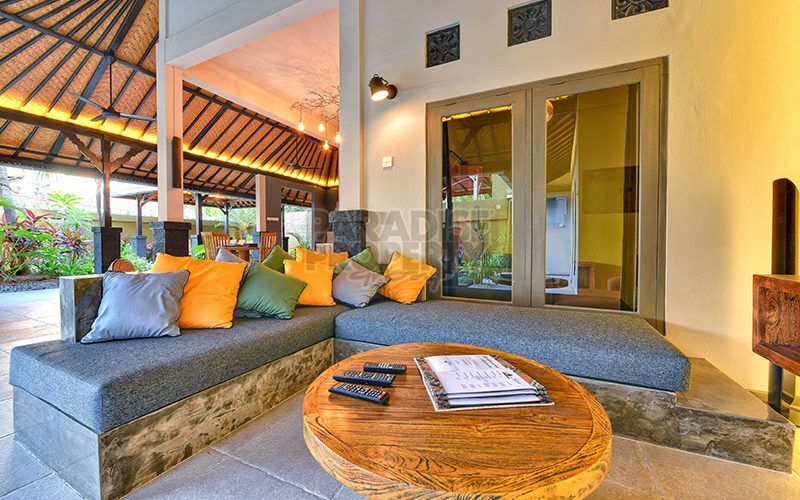 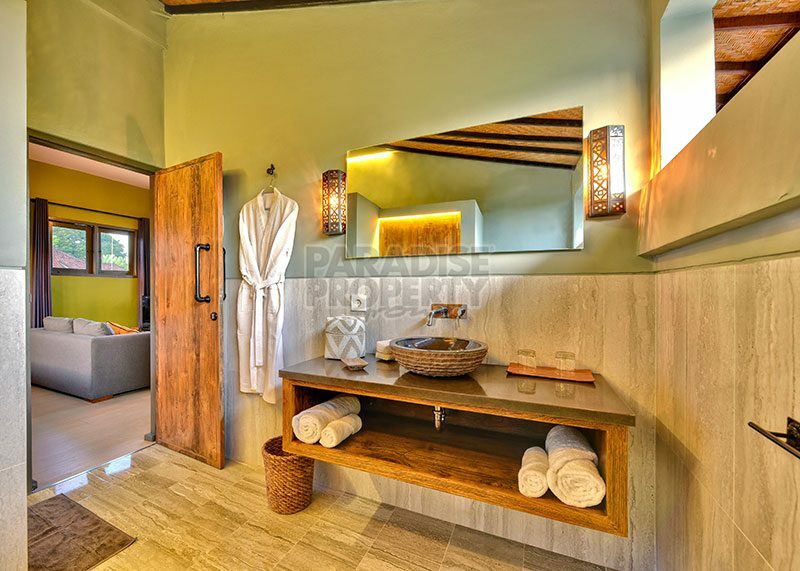 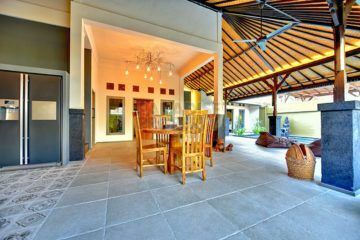 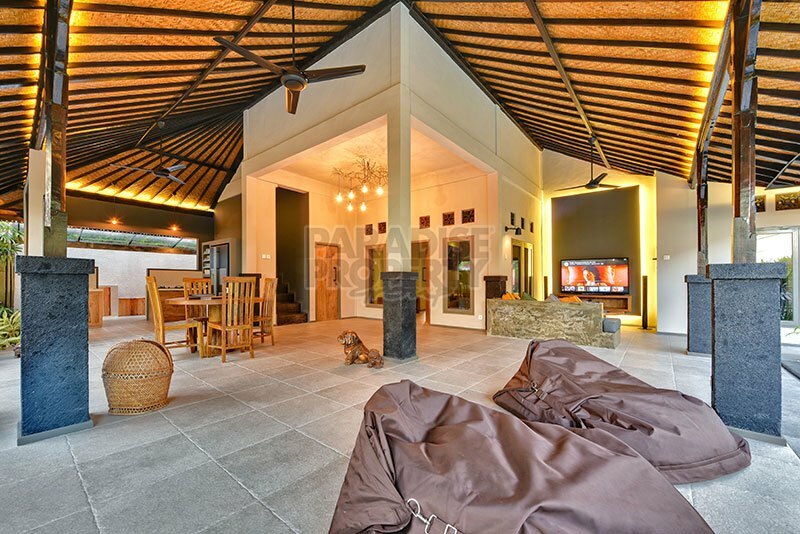 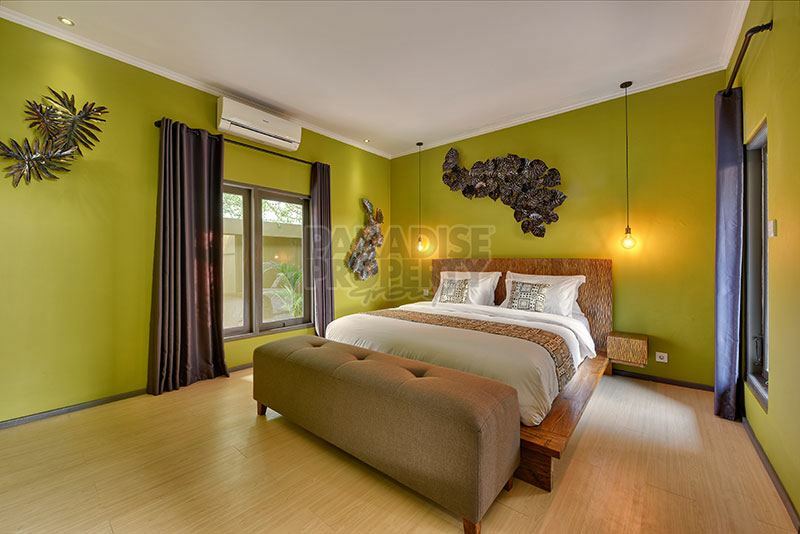 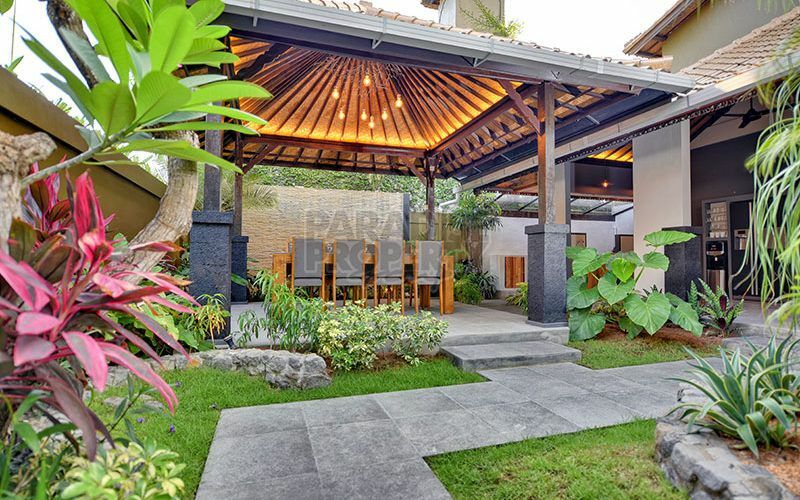 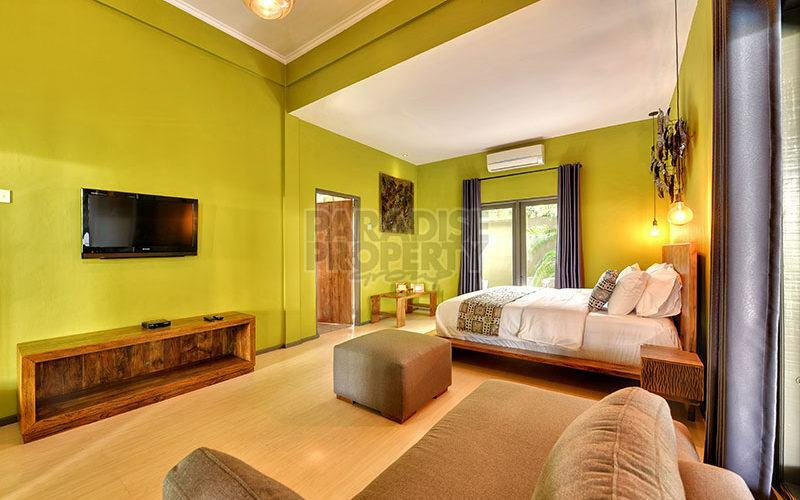 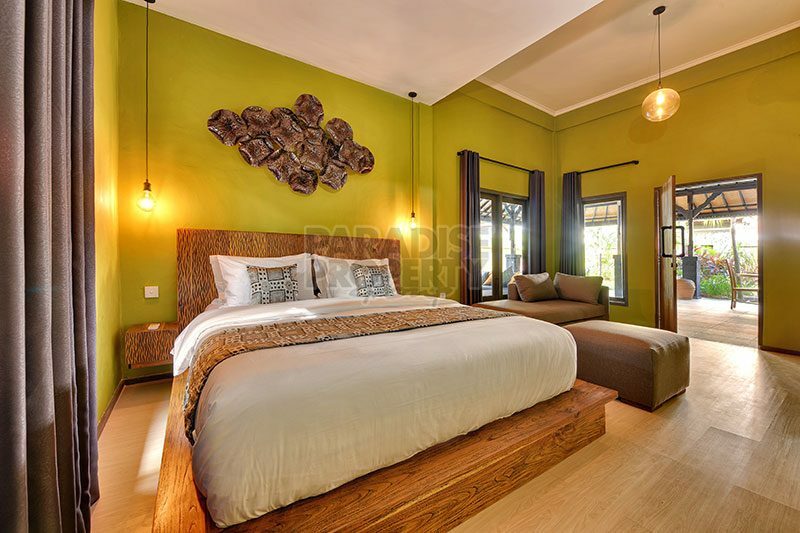 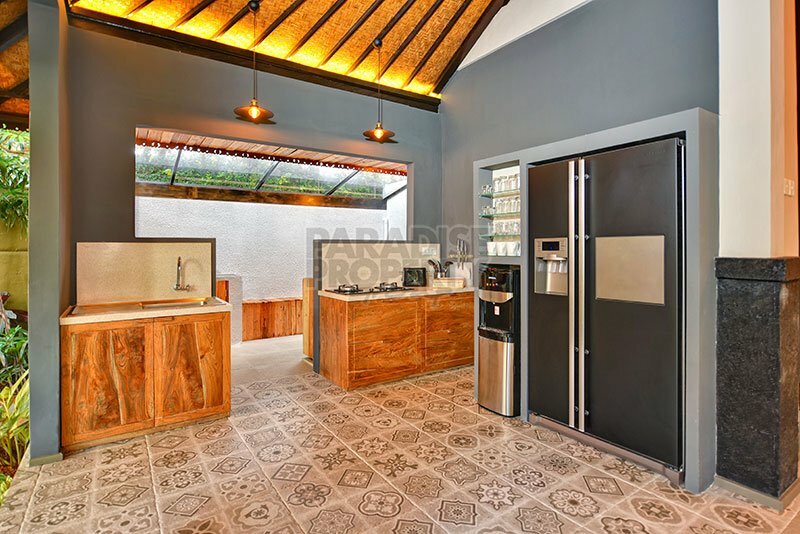 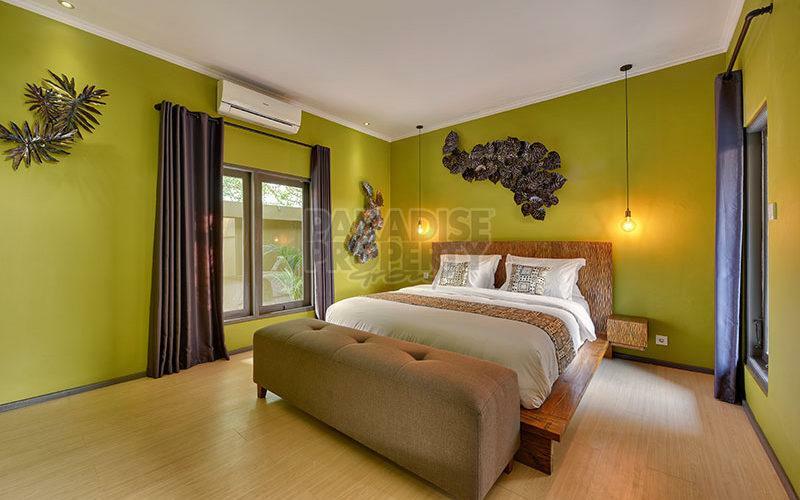 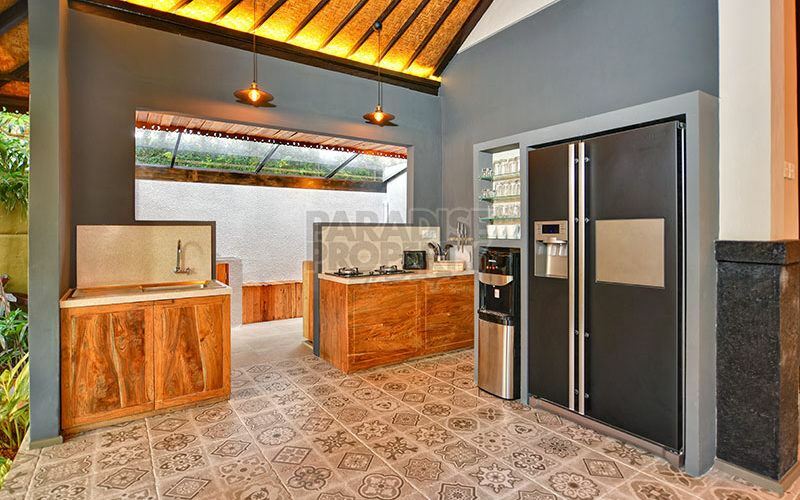 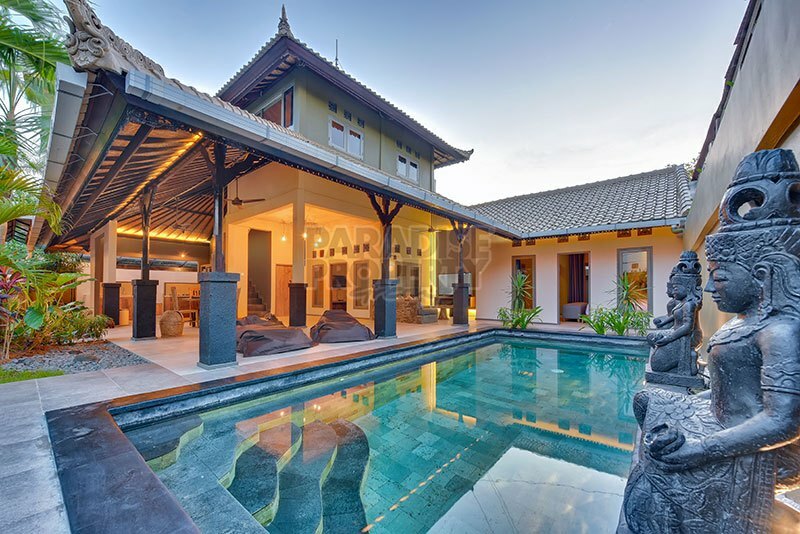 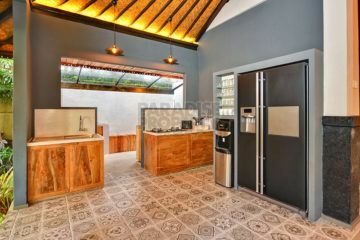 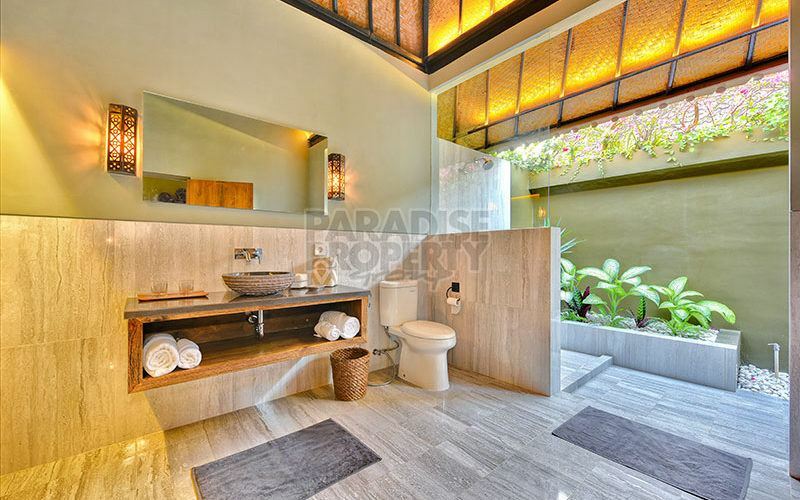 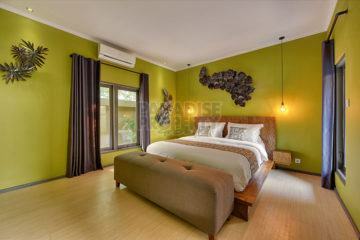 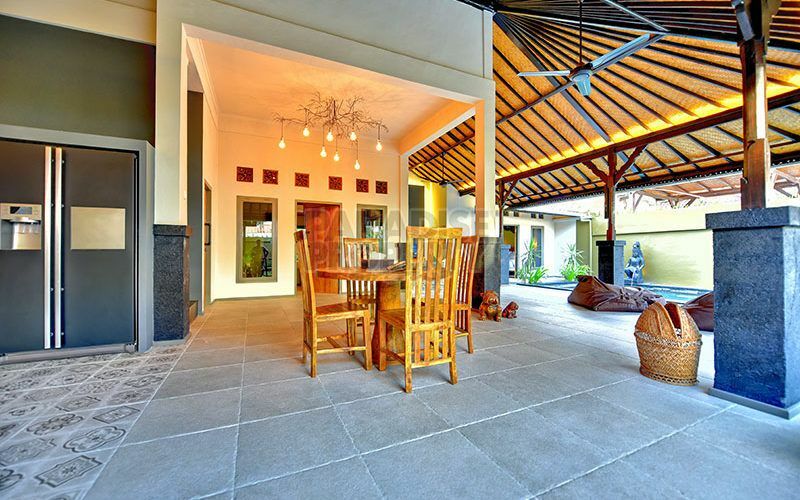 The villa comes complete with an IMB building permit and a Pondok Wisata rental license. 60 inches LED TV and surround sound system. 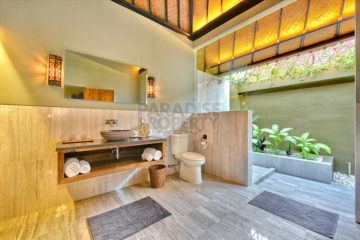 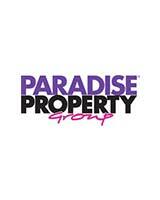 This leasehold property is priced to sell for IDR 2,900,000,000.